Machines should be moved with special care as it may cause damages and interrupt the working process in the future. Our crane trucks are available to help you lifting heavy machinery and relocate to your new place. Now you can transport your heavy and valuable machinery safely. 4LIFTN provides quality vehicles and professional operators for your projects. 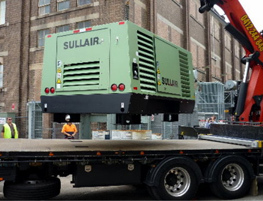 We can guarantee to deliver your machines to its new destination without causing any damages. We have a range of vehicles you can choose to suit your projects, such as Crane Trucks, Table Top Trucks, Semi Trailer Trucks, and Tray Trucks. Call us on (02) 9609 1455 for a consultation session and decide the right truck for your works or fill the contact form below and our staff will reach back to you immediately. Sitemap | © 4LIFTN 2016. All rights reserved.